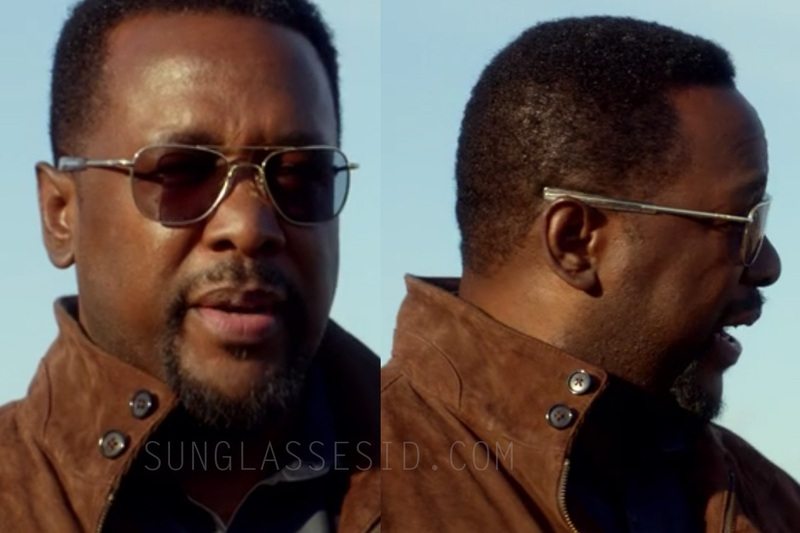 Wendell Pierce wears RE Aviator sunglasses in episode 2 of the Amazon Prime series Jack Ryan. 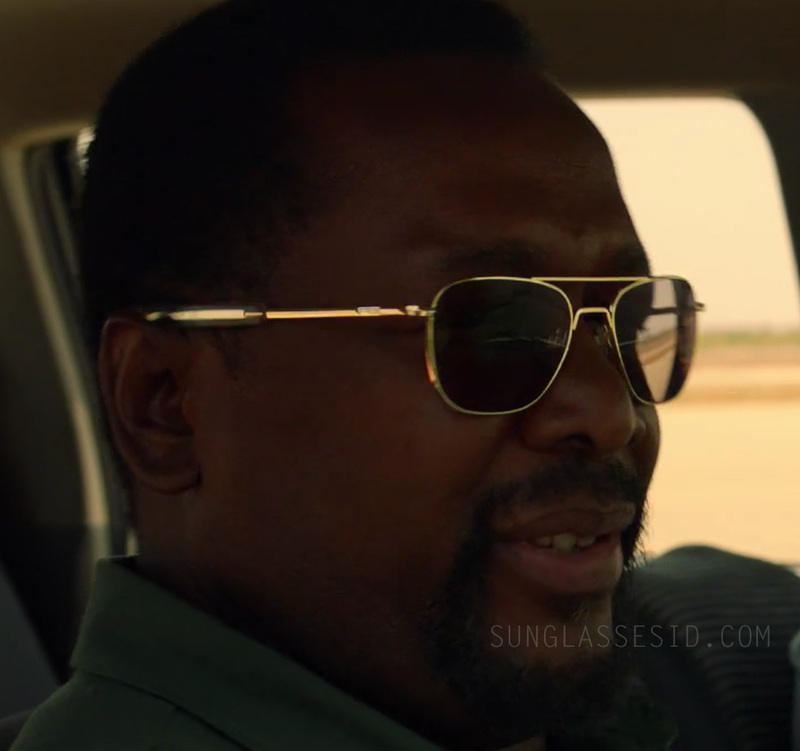 Wendell Pierce wears RE Aviator sunglasses in episode 6 of the Amazon Prime series Jack Ryan.Wendell Pierce wears RE Aviator sunglasses in episode 6, where they look gold. These sunglasses can be recognized by their bayonet temples, that are designed to fit comfortably under headgear. The glasses can be clearly seen in Episode 2 (French Connection) of the first season of Jack Ryan. The glasses seem to have a chrome frame in that episode. In Episode 6 the glasses seem to have a gold frame. Strangely enough, the sunglasses in Episode 6 switch half way to another similar looking pair of glasses which are not the RE Aviators althougb the rest of the outfit is the same. Later they are the RE Aviators again. This hand assembled, US brand is often spotted in films and tv series, see more Randolph Engineering sightings here. 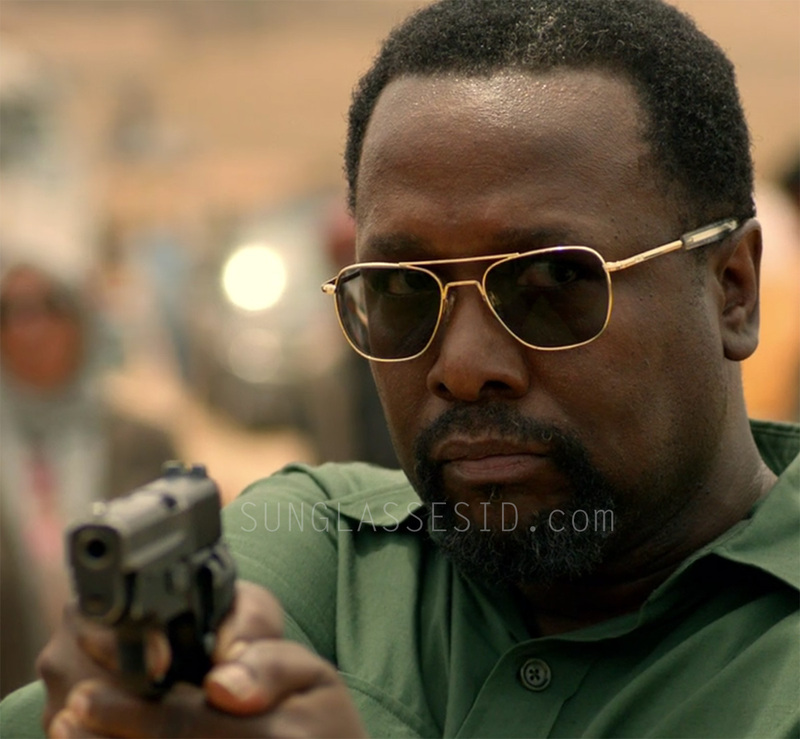 In the new Jack Ryan series, Wendell Pierce plays James Greer, Jack Ryan's boss and former case officer for the CIA. John Krasinski, who plays Jack Ryan, has a pair of black Ray-Ban sunglasses in the first episodes of the series.